HIGHLANDS  Most everyone that knew Mark Mulloy also knew he was a remarkable man, dedicated to his family, the community, and his beloved Rotary friends. Mark was at one time president and owner of the Highlands State Bank, and later part-owner of Woodforest National Bank and the Crosby State Bank. His success in the banking business allowed him to be generous to his interests, especially the communities of Highlands and North Shore. Unfortunately, Mark died of skin cancer in June 2009 after a valiant fight against the disease. Before he succumbed, he donated a sizable sum to the local Rotary club, and the club wanted to honor his friendship and generosity with a community project in his name. HES teachers Cindy Creel and Lindy Orr got together with the club, and it was decided that a revamped walking track and playground equipment next to the school would serve the children and the community. It was appropriate that this project would be dedicated in his name, and Rotary presidents Patricia Scott, Denise Smith, and Dane Listi over three years worked to make it happen. Sterling White generously donated a stone marker in Mark Mulloys name. CROSBY  The railroad is going to close Main Street here from Tuesday through Friday next week. This week Dr. Keith Moore, Superintendant of Crosby ISD, received notice that Union Pacifiic Railroad will be working on their rail lines and will have to close FM 2100 both northbound and southbound beginning Tuesday, December 18 at 6:00 a.m. until Friday, December 21 at 6:00 p.m.
Notice first reached ESD#5 (the ambulance service in Crosby) last week and that was communicated to the school district. The Miller-Wilson and First Street crossings will remain open for this period. The overpass construction is apparantly unrelated to the railroad repairs. Overpass construction is expected to last for another eight months. The bridge at Old Beaumont Highway is being repaired until April 30, 2013. It should be open at 3:00 p.m. that Tuesday. In case you needed to know the name for that roadway officially, it is named BS90 U. East and West from Sheldon Road to FM 2100 is closed. 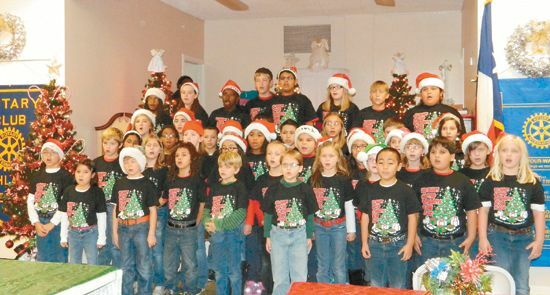 CROSBY  The Crosby-Huffman Chamber of Commerce outpaced even themselves with the 14th Annual Childrens Christmas Festival last Saturday, here. Dr. Ryan Konarik launched the Jingle Bell Run at 8:00 a.m. and off on a dash for 5 kilometers went contestants. At 10:00 a.m. the Family Shows of Houston carnival and a mainway of crafts, charities and concession stands filled the Crosby Fair & Rodeo Pavillion. The kids screamed with fun and the public turned out in droves to line the parade and fill the Fairgrounds. At dusk the ceremonial tree lighting was filled with song and emotion. 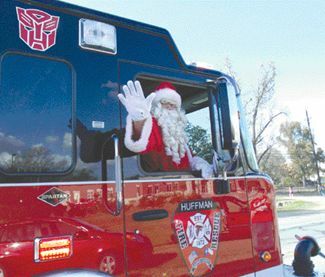 HUFFMAN and CROSBY  Beginning last Saturday and continuing this Saturday parades, games and pictures with Santa are the rule here as the areas welcome the Christmas Season to northeast Harris County. 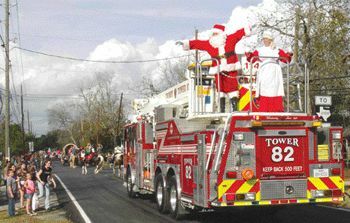 The Crosby-Huffman Chamber of Commerce has stepped closer to uniting the entire community again with the successful rekindling of the Huffman Christmas Parade featuring Huffmans rescue service, Precinct 3 Constable Deputies and a wide variety of entertaining floats and vehicles. There was even a visit from Team Impact. The events of last weekend included Goody bags for kids that visited with Santa, childrens activities, cookies and chocolate a Christmas Tree Lighting and Caroling at the Childrens Christmas Celebration in Huffman. 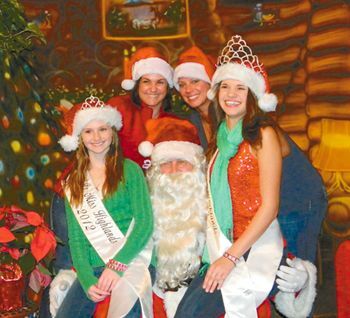 This Saturday, Dec. 8, from 10 a.m. until dark, the Childrens Christmas Festival and Parade will be held at the Crosby Fairgrounds. A Jingle Bell 5 K Run will be held. A carnival with rides will grace the Fairgrounds. There is to be a bevy of local entertainment at the Fairgrounds under the covered pavilion. There is to be lots of vendors, crafts, shopping and food. The Crosby-Huffman Chamber of Commerce is going to provide hot-dogs. Word Photography is going to take and give away pictures with Santa and the kids can tell Santa what they want for Christmas. Goody bags will be given to kids that speak with Santa. Later on well conspire to more good deed doings as we fellowship with carolling and a Christmas Tree Lighting. These events are free for the public to attend. For more details on these and other events call 281-328-6984. 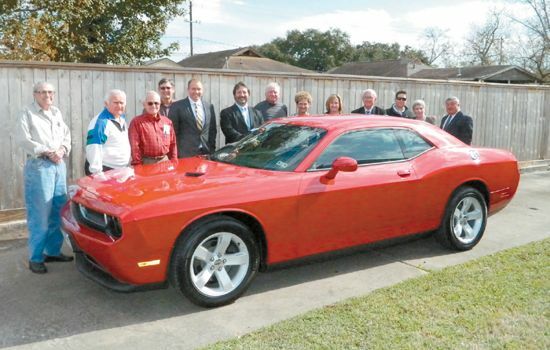 Last month five new businesses became members of the Crosby-Huffman Chamber of Commerce. The Crosby-Huffman Chamber of Commerce is scheduled to re-start their Community Development Committee in January. The annual Installation of board members will also be held that month. The Highlands-Lynchburg Chamber hosted the Christmas Tree Lighting on Tuesday night, December 4th, starting at 6 pm. Due to heavy rain and the threat of lightning, the Santa arrival and greetings were moved into the Chamber building. Cookies were donated by the Horizons, Golden Corral Restaurant and Community Resource Credit Union. Hot Chocolate was donated and served by the Rotary Club of Highlands. Pictures of the children with Santa were made by Linda Sims Photography. Each child or adult received a colorful print in a gift folder to take home. Children had their picture with Santa for a donation of an unwrapped toy. The festivities went on for several hours, starting at 6:00 PM at the Heritage Park located at the Railroad Tracks in Highlands and continuing in the Chamber building. Several hundred children came to see and talk with Santa, but the numbers were down from last year due to the weather. The Highlands volunteer fire department participated, with a fire truck and lots of firement having their picture taken with Santa. At the end of the evening, Santa whispered to the Star-Courier that he had more fun than anyone.